Florida still remains one of the most popular states for RVers to visit. The weather is amazing and so is the shoreline, where several of the Florida RV parks and campsites in our roundup are situated. People from all over the country visit Florida’s state parks, so expect crowds during peak season. Because these locations are very popular, making reservations far in advance is advised. This is especially important if you plan to visit during the spring and summer. If Florida is on your list of places to explore, you’re guaranteed breathtaking scenery, wildlife and fun activities for all ages at these Florida RV parks. At Anastasia State Park, you can relax in the park or on the 4-mile beach. Or, if relaxing is the last thing you want to do, hit the trails by foot or on your dirt bike. For nature lovers, take the trails into a maritime forest. For ATV enthusiasts, follow the trails leading to ancient sand dunes. If you’re into archaeology, then visit the Coquina Quarry. It was used to create the nearby national monument that is marked as a historic site. Bird watchers, swimmers and water sport lovers all enjoy this state park, with campgrounds that boast 139 well-maintained campsites. The sites also come equipped with Wi-Fi and barbecues in the common area. Plus, you can rent bikes, canoes and kayaks at the park. Fort De Soto is the largest of several Florida RV parks within the Pinella County Park System. The park has a rich array of wildlife, birds, sea life and plant life. You can walk endlessly here along the white-sand beaches, which are more than seven miles long. You can also take your dog to the beach, where there are two pet-friendly areas for large and small dogs. This 238-site camping area even has washers and dryers for guests. Bahia Honda State Park offers lots of shoreline activities including kayaking, bicycling, fishing, swimming and hiking. There are 80 campsites for RVs, as well as tent camping with access to restrooms and showers. Some of the most beautiful beaches in the Florida Keys are here, so go for a dip in the Atlantic Ocean and Florida Bay! Also keep in mind that if you’re a boater interested in docking overnight, this option is currently unavailable until further notice because of Hurricane Irma. This is the only state park in Florida with cave tours open to the public. However, the tours get booked fast so get ahead by putting your name on the list now! The nearby Chipola River and Blue Hole spring are where visitors go fishing, boating and canoeing. The park is perfect for picnicking, fishing, hiking and even horseback riding. There’s also a 9-hole golf course that dates back to the New Deal. You’ll find full-facility campsites here for RV camping that include showers, restrooms, a dump station, water, electricity, and a grill with a picnic table. This is one of the Florida RV parks that really has it all. 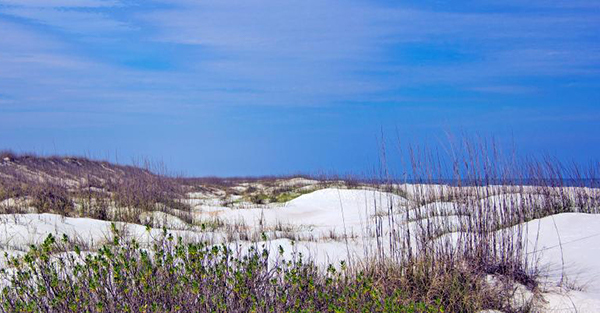 This campground is in Santa Rosa Island, which is part of the Gulf Islands National Seashore. Filled with historic sites, pure-white beaches and sparkling blue water, this area is also a protective habitat to local marine life. Visitors enjoy walks along the beach, swimming and snorkeling. You can also fish here without a Florida state fishing license. If you’re more interested in a vigorous hike than playing in the water, you can explore this park for hours without getting bored. As for where you’ll rest your head, there are 190 family camping sites here with toilets, showers, fresh water and a dump station. This historic and popular recreation area is located between two beaches. It offers swimming, picnic areas and trails that were constructed in the 1930’s! There are also hundreds of bubbling springs in this tropical setting that truly sets it apart from the surrounding desert. Guests enjoy canoeing, bird watching, grilling, hiking, kayaking and snorkeling. The nice part about staying here is that the campsites are situated near the creek and springs. The soothing waves will lull you to sleep every night. Amenities include showers, toilets and a dump station. Also, restaurants and stores are only 10 miles from the campgrounds, making it easy to replenish supplies. Here you can walk along 3.2 miles of secluded beaches where the dunes measure over 25 feet tall. Avid fishers will love the freshwater fishing opportunities here right at the shoreline. You can also enjoy bird watching, hiking and biking. The RV resort here offers fresh water, electricity, a dump station and cable TV at each site. This is one of the most peaceful Florida RV parks around. This barrier island consists of undeveloped beaches, which can easily fill your day with activities like swimming, canoeing, kayaking, boating and fishing. The scenic hiking trails here are perfect for nature lovers. Your shallow draft boat (under 26 feet) can also be accommodated at Apalachicola Bay. There are 60 RV campsites that offer fresh water, electricity, a dump station and two bathhouses. This award-winning campground is adjacent to an animal preserve and theme park. You can drive through this 320-acre area and see all kinds of animals (even lions!). Also, don’t miss out on the opportunity to feed the giraffes. You’ll find a petting zoo, nature exhibits, a carousel, paddle boats and more. The campgrounds here are modern and with full hookups and picnic tables. Not only is there a heated swimming pool, but you can also play volleyball, basketball or shuffle board while doing your laundry at the campsite. Lion Country Safari KOA is one of the most fun and exciting Florida RV parks you can find. Wherever you travel, it’s always wise to have the right Specialty RV Insurance on your motorhome, trailer or camper. Regular Auto Insurance does not provide adequate coverage for an RV. Speak with an Insurance Specialist about bundling your insurance products. Then, get multiple quotes from top insurers in just one quick call at (866) 501-7335. The information in this article was obtained from various sources. This content is offered for educational purposes only and does not represent contractual agreements. It should not replace manuals or instructions provided by the manufacturer or the advice of a qualified professional. The definitions, terms and coverage in a given policy may be different than those suggested here. Such policy will be governed by the language contained therein.